I won my first laptop in the Independent newspaper's column-writing competition, with a short piece on goat-borrowing. My journalism has since been published in many newspapers and magazines, in print and online. I've written about cars of the future for Telegraph Motoring, How to Disagree for the BBC, Big Data for Newsweek, and being Seduced by Stats for Significance magazine. 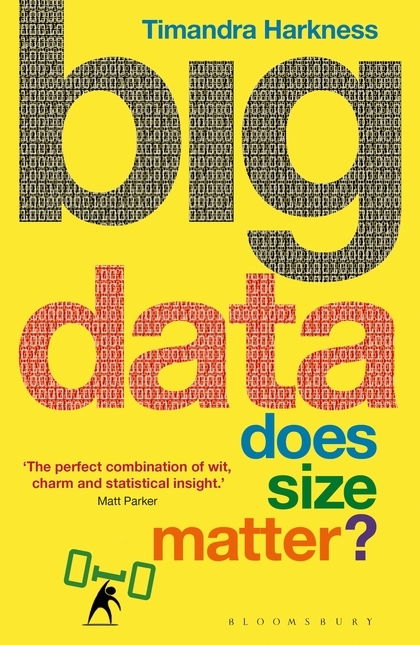 My book, Big Data: does size matter? was published by Bloomsbury's popular science imprint, Sigma, in 2016. I kept a spreadsheet of cups of tea drunk, hours spent and words produced. I also write scripts for radio, short films and live performance. Two of the short films, which I also directed, were shown at festivals from Bristol to Seoul, and comedy play No Future In Eternity was broadcast on BBC Radio 4. Other odd writing jobs have included text for science exhibitions, joke books and opera reviews. AUdimat font by SMeltery. "Graphy" background licenced under CC BY-SA 3.0 via Subtle Patterns.